We have been sorting through literally thousands of social media messages on Twitter and Facebook. The support, love and loyalty toward 99 is amazing and greatly appreciated. Over the next few days (and weeks) we will post many of your messages and photos. 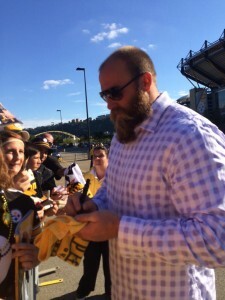 Unlike most of the other regulars, Brett Keisel would often greet the fans near the players’ parking lot after Steelers’ home games, even late at night. Even better, I got to meet him a couple times. The first time I met him he came over to me with a black Sharpie in hand and signed my No. 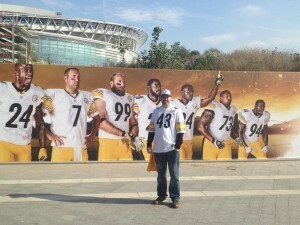 99 field jersey. As I tried to thank him he then pounded me (hard!) on my chest and laughed. It’s not often you meet someone literally and figuratively bigger than life, and who is also so incredibly effusive and approachable. God speed, Mr. Keisel. Brett Keisel would stop and talk to kids after almost every home game…deservingly a fan favorite! 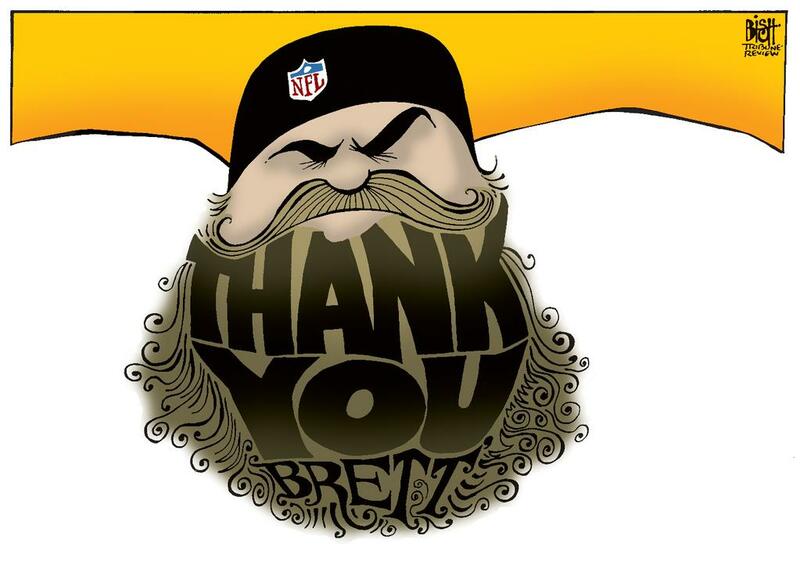 Congrats on an amazing career with the Steelers! You are a legend here at #BYU. Best of luck from the #BYUFamily. #BandofBrothers! — Coach Kelly Poppinga, Special Teams Coordinator/Outside Linebackers Coach, BYU. Luck O’ the Irish to ya! The World’s Tallest Leprechaun, you must be, given all the good fortune ya brought us. Thank you.